Feeling nostalgic? Missing Palmer? Rejoin the Cause brothers. Hmmmm may not cache video, can you see the time line tool bar at the top. You can move back and forward. I'll find a time when maybe it was cached. It is interesting as you see the increase from 2013 of cached traffic. The later you go the more is on there. Look at this the old forums. January no forum jump to March 23 there is one. Hehe, we both joined on the same day: march 30 2013. 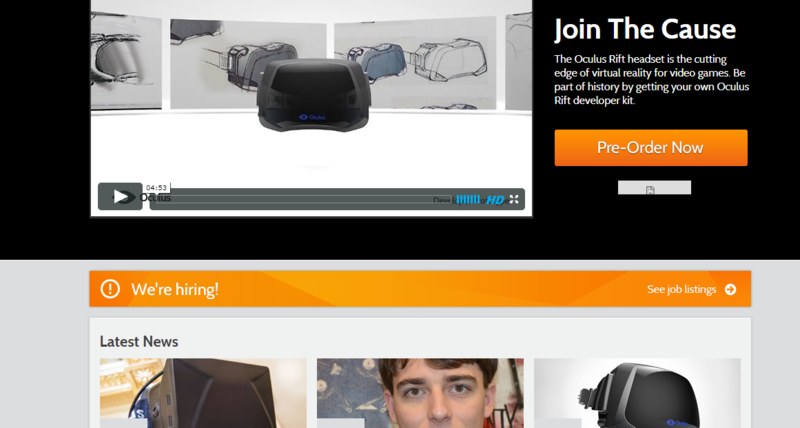 Oculus VR LLC is no more. The company which was started in 2012 by Palmer Luckey, Brendan Iribe, Nate Mitchell and others is now part of ‘Facebook Technologies LLC’, a subsidiary of Facebook which handles hardware efforts, including Oculus and Portal, Facebook’s new video calling displays.